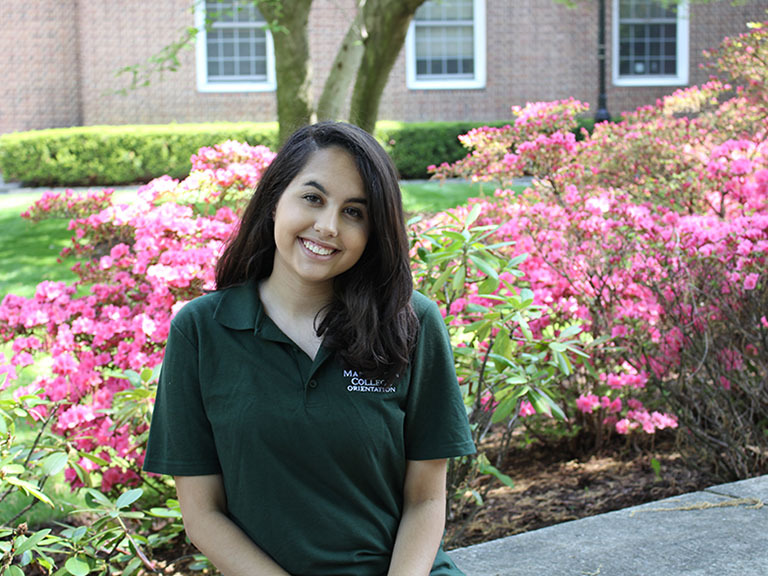 Meet the current students who will be walking you around campus this summer, and introducing you to the faculty, administrators and spaces that will enhance your Manhattan College experience. Why did you choose MC? 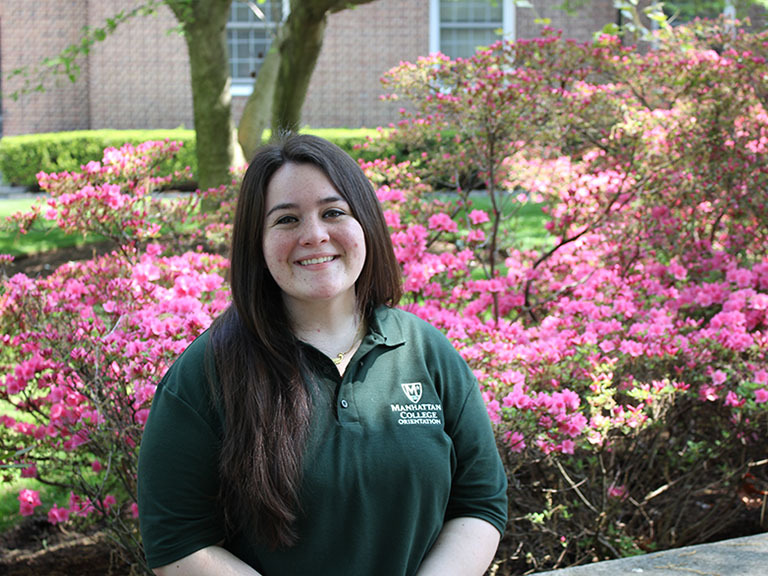 I chose Manhattan College because was I felt like it would give me the best opportunities for my future. When I was making my decision about which college to go to, I was torn between staying in the city, going to Manhattan College, or going upstate for school. 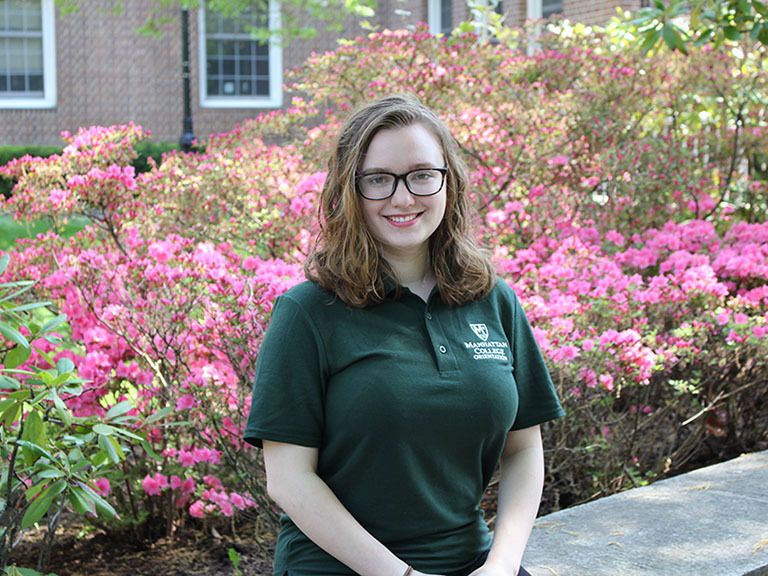 I really wanted to go away for school, but I loved the environment that Manhattan College had and I love being in New York City,which led me to decide to stay. It is a decision I have never regretted. 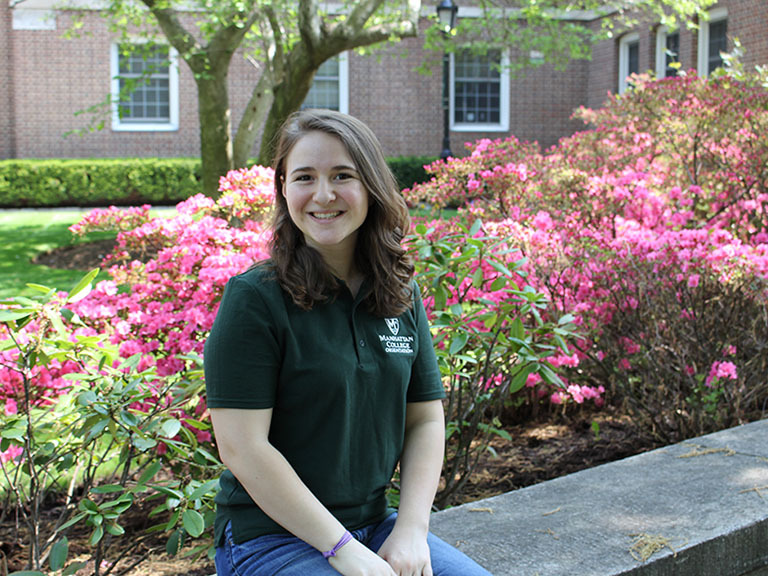 I love Manhattan College and I am happy that I choose to come here because of the experience, opportunities, and people that are here at MC. Favorite thing about MC: My favorite thing about Manhattan College is definitely the people here. When I say the “people”, I mean everyone including teachers, librarians, Financial Aid Officers, and those who help keep the college so clean. 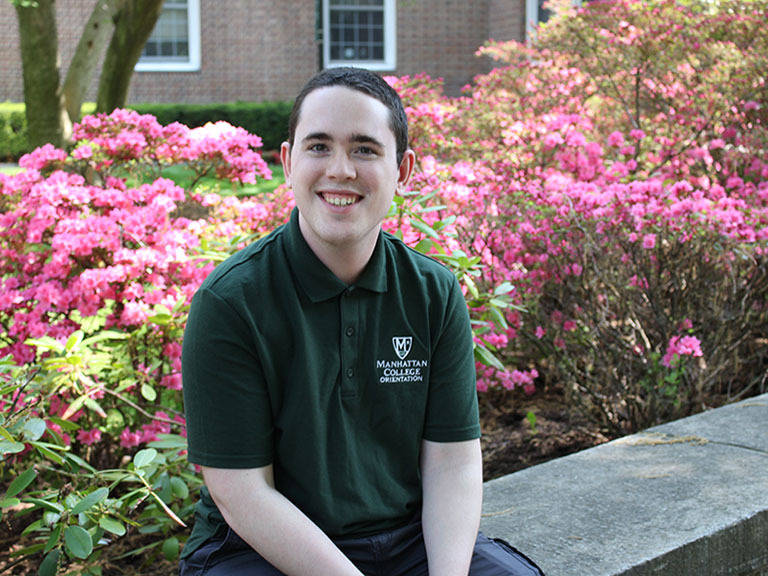 I have met some of the nicest and most amazing people here at Manhattan College. I have friends I consider family, teachers that I would consider friends or mentors, and faculty who are the sweetest. It took me a while to find my friend group but once I did I was so happy and I was never alone because everyone is so friendly. One simple conversation about the weather or school work or how someones day is can lead to a friendship. My advice for incoming freshmen would be just have a conversation with someone because you never know if that person might become a friend or a mentor. 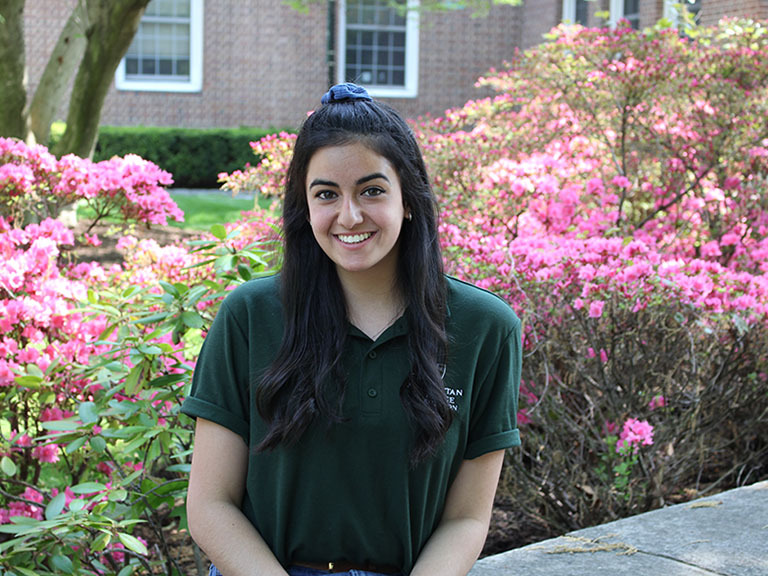 MC Involvement: Pit Orchestra, Jazz Band, Manhattan Singers Club Club Liaison, Scatterbomb Co-VP, Arches Program, Italian Club. Why Did You Choose MC? 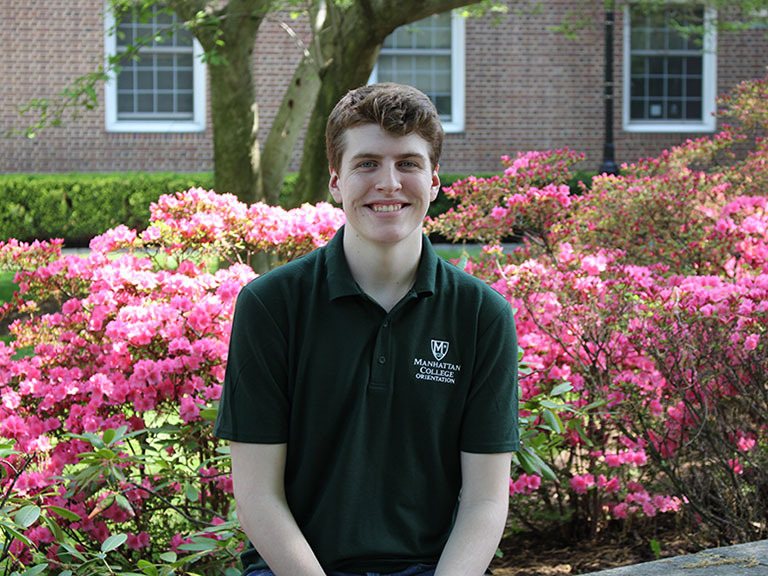 I chose Manhattan College because of the close proximity to the city and the collegiate relationship between students and the professors. Favorite Thing About MC: My favorite thing about Manhattan College is that I’m able to find my little corner on this campus. It seemed overwhelming at first, but by being able to quickly form relationships with people in similar organizations that I was in, I happily found my place here with ease. Why Did You Choose MC? 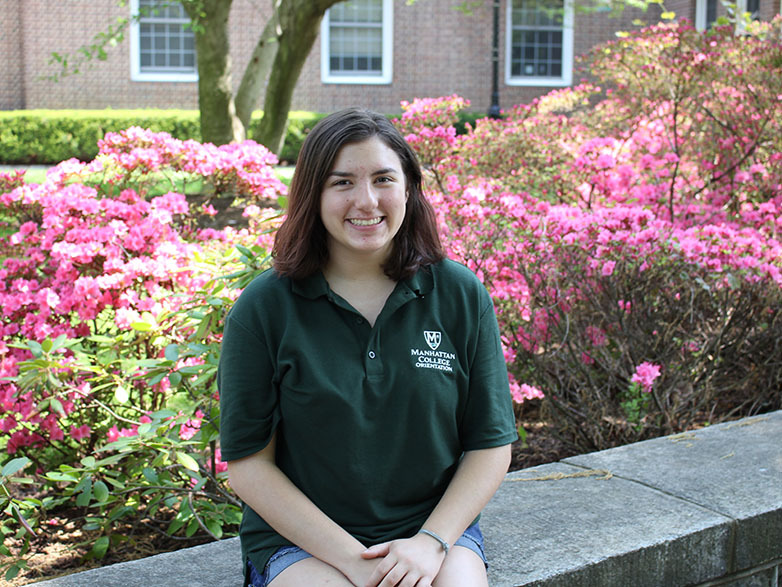 I chose Manhattan College because it felt like it had the perfect mixture of everything. I was looking for a smaller college with a good engineering program, a strong sense of community, and opportunity for involvement. 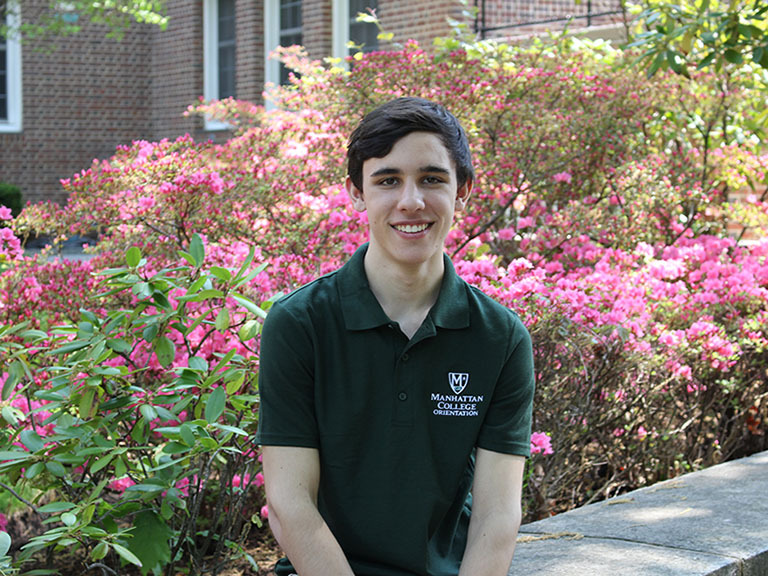 When I toured Manhattan College, I knew it fit the bill perfectly. The classes are small enough where you don’t feel overwhelmed, and all the people on campus are always friendly. Favorite Thing About MC? My favorite thing about Manhattan College is the size. Classes are small, so the professors make an effort to know each student. It also helps in getting to know friends better as you’ll constantly see them around campus. I believe the size also contributes to Manhattan’s great sense of community. Everyone you meet is always polite and genuine. The professors will always make time to help you outside of class. Resident Assistants make conversation with you and give advice. The school staff is very friendly no matter where you go. It makes for a comfortable feeling knowing that there are always people to help you if you need it. Why did you choose MC? I chose Manhattan College because my robotics mentor went here and Manhattan College sponsored our team. MC also has a great location and a lot of career opportunities outside of college. Favorite thing about MC: The community is very diverse and at the same time familiar. I love being able to see people I know wherever I go. Why did you choose MC? I chose Manhattan College mainly because of its location and its small campus and class size. Being so close to the city is great as the 1-Train goes right to Times Square, Lincoln Center, and Penn Station. I personally enjoy how close we are to Penn Station as I can easily hop on the LIRR and go home for the weekend if I wanted to. The small class size was also a plus because I can develop a personal relationship with my professors and have a more individualized experience in the classroom, which I did not see much of in larger schools that had lecture-style instruction. Favorite Thing About MC? My favorite thing about Manhattan College is the close proximity it has to the city. I probably go to the city at least three times a month at the beginning of each semester to go see various shows and performances, Broadway is especially great with the student discounts. Just last semester, I saw three jazz concerts in Lincoln Center, which was nice since they were really affordable considering that I am a current college student. Being close to the downtown section of NYC is also great as I have the opportunity to visit various job sites if I so chose. Being able to visit the city, along with the various trips planned through student engagement into the city really allowed me to expand my horizons beyond just the classroom and to become a more well-rounded individual. Why Did You Choose MC? I chose MC because it was the only school where I felt at home. When I came to visit on Accepted Students Day, I interviewed for The Quadrangle Scholarship and my parents left me to wait for the interview alone. At every other school I visited, I never wanted my parents to leave my side but waiting for the interview and walking around campus that day, I didn’t feel like I needed my parents by my side. In fact, I felt confident on my own. That day I got the “feeling” that everyone talks about and I knew MC was the place for me. Favorite Thing About MC? My favorite thing about MC is The Quadrangle. I’ve made a lot of friends while writing for The Quadrangle and I’ve met so many different people on campus that I’d never have met any other way. Why did you choose MC? I was looking for a small school with a close-knit community like the one I grew up in. 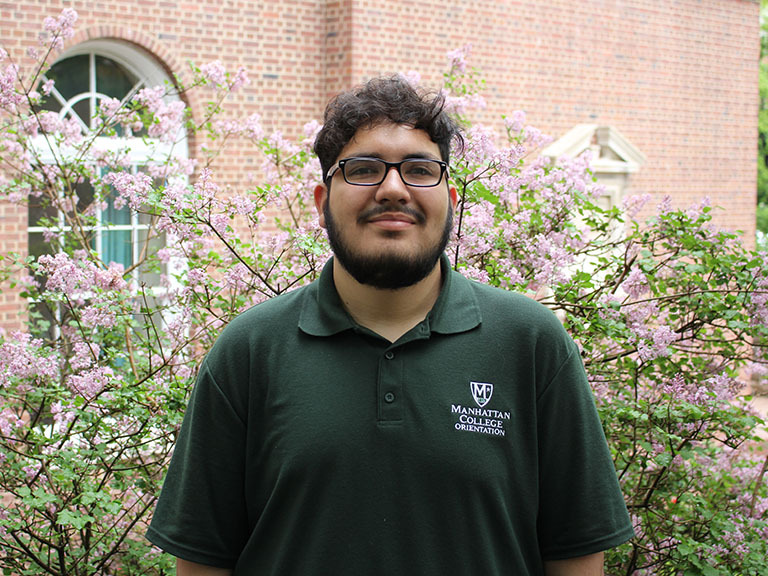 Manhattan College was the second school that I looked at during my sophomore year of high school and I was drawn to its sense of community, proximity to the city, and its alumni base that I knew would ensure me a successful career. No other school could compare to this one. Having been here for a year, I know I made the right decision. Favorite thing about MC: My absolute favorite thing about being at MC is that I see a familiar face nearly everywhere I go. Since it is such a small campus it is so easy to build long-lasting relationships, especially in the the classroom because of the small class sizes. It reinforces the tight-knit, family-like atmosphere we have here. Why Did You Choose MC? I attended a very small high school with a total of 50 students and I wanted to find a place that replicated the feeling of community that came from going to such a small school. I also knew that I wanted to be in New York City, but I worried that I wouldn't find a school in the city that could foster this sense of community. 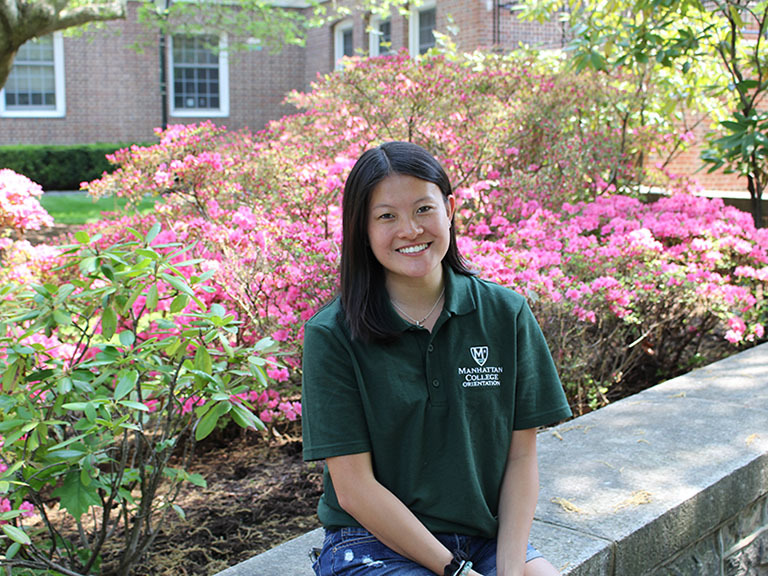 When I first walked on to the Manhattan College campus, I was greeted by smiling faces and the sense of community I had been looking for. I immediately knew that I had found my new home at Manhattan College. Favorite Thing About MC? My favorite thing about Manhattan College is the people. Everyone on this campus radiates kindness. From smiles and hellos to lending a helping hand when needed, the students and faculty on this campus truly go out of their way to make sure that everyone is happy. The people at Manhattan College create an atmosphere of support and acceptance that makes even the most difficult of situations seem bearable. I love that the deep sense of community at Manhattan College is something that is fostered by everyone on this campus. I chose MC because of the beautiful atmosphere on campus. 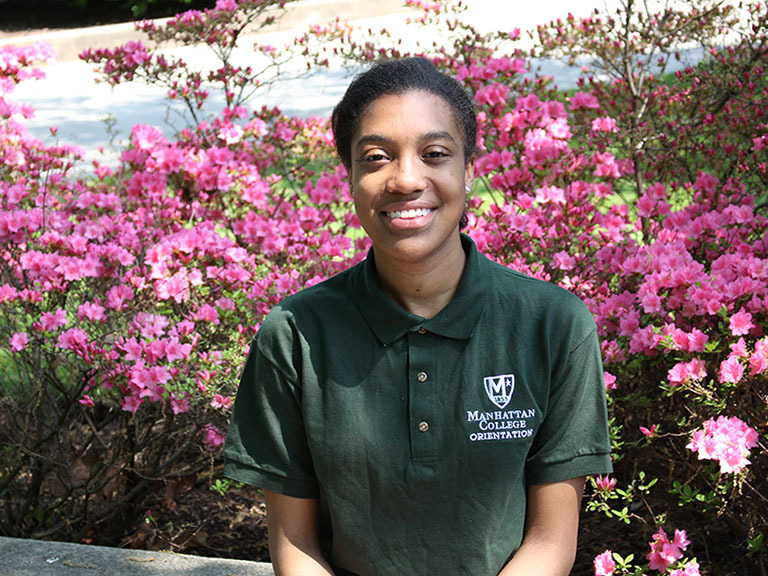 I am a transfer student and before changing my major, I first came to MC for an interview. Following my meeting, I got to tour the MC campus, and I quickly fell in love with it. Coming from a previous institution with about 2,500 students with a small number of them living on campus, the change for me was exciting. Fortunately, adjusting to a larger school was no issue for me. Also, I was brought back to New York state, the place of my roots. The proximity to the city provides me with way more of an opportunity to have fun and branch out. Student involvement here on campus is significant and lovely. I am so proud and grateful to be a Jasper. My favorite thing about MC is the sincere concern that the staff has for the well-being of their students. The MC team has a relentless dedication in making sure that each student is successful. I feel entirely supported here, by both faculty and students. Additionally, being the last stop on the 1-Train has its benefits. Our stop never gets missed and getting to the city is easy. Furthermore, there is so much diversity on the MC campus. The Multicultural Center provides a safe space to express feelings about issues in minority communities. Cultural organizations range from the Black Student Union, Fuerza Latina, Muslim Student Association, etc. Lastly, there are various shopping locations on campus, with Kelly Commons encompassing most of them. Overall, MC is a fabulous place to be. The campus was a perfect size and the people are so kind. I felt like it was a good fit for me. My favorite thing about MC is definitely the people. There isn’t a single time when I leave my dorm and don’t say hello to someone. The students, faculty, and staff are so nice and approachable that it makes you feel comfortable. Why Did You Choose MC? Manhattan College was the only school I applied to because I knew this was where I wanted to be. I wanted to stay in NYC and be a part of a small campus community. My whole family went to Manhattan College, and I knew it was some place that I could call my home. Favorite Thing About MC: I love how beautiful the campus looks in the spring when everyone is out on the Quad enjoying the sun. The events on campus are always a good time, and there are so many opportunities for students to become involved in what they love. 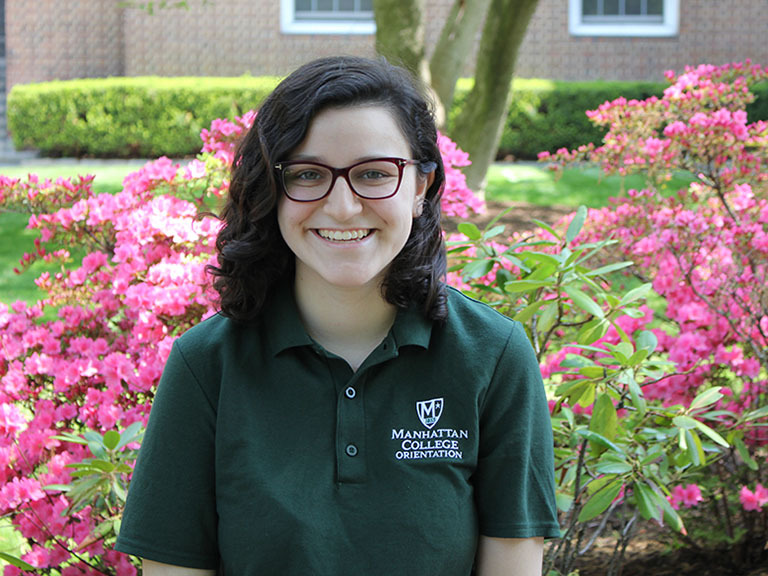 Manhattan College has helped me to grow so much this past year and I am excited for my future here. Why Did You Choose MC? I chose Manhattan College for the campus community and the pride our students exhibit everyday. The school also offers incredible academic programs and extracurricular opportunities that involve the arts, athletics, identity and academics. Favorite Thing About MC: My favorite thing about Manhattan College is the students. We have a diverse, motivated, and fun student body that make everyday great. Why did you choose MC? When I was deciding where to go to college as a high school senior, I visited MC multiple times, and each time, people would make sure to hold the doors open, smile, and answer questions. (This tradition has carried over, and I see it every day that I go here!) 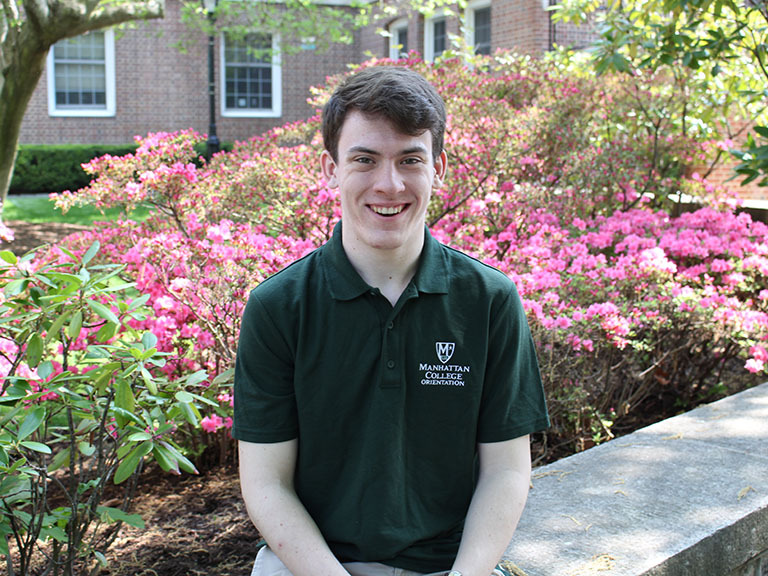 I also liked that MC offers a lot of opportunities to become involved on campus, has small class sizes, and is the perfect distance from home and NYC. Favorite thing about MC? My favorite thing at MC has to be the incredible people I’ve met, including fellow students, professors, and staff members. I’m so grateful that MC has given me some of my best friends here, and I wouldn’t have found the same kind of campus anywhere else. MC has become my home away from home! Why Did you choose MC? It sounds cheesy, but from the moment I stepped on the campus I knew I had found a home. I have gone to Catholic School since first grade and I wanted to continue my higher education in the same environment. While walking around the campus during tours, Accepted Students Day, and Orientation days, I was struck by the beauty of the campus. I could not wait to stretch out on the Quad with a book in between classes on sunny days. Exploring the city is also a favorite pastime of mine and with the 1-Train so close it made it easy to do. The train being right down the block also makes my two hour commute to school super easy. Favorite thing about MC? I walked onto the campus only knowing a handful of people, and now I have a close group of over thirty friends of all different majors, freshmen to fifth year students, commuters and dormers, who I am proud to call family. Not only are my fellow students amazing, so are the teachers. The teachers at MC really want to see us succeed and not just to make themselves look good. The campus size is perfect for getting to know your teachers and allowing them to know you. I have already had teachers reach out to me to see how I am doing after I finished their classes. The 24/7 library is also a huge plus for commuters such as myself to spend the night writing papers and preparing for tests.